Finally, the magic of spring migration is upon us. The bird variety outside our doors is growing, with new species arriving daily. It’s the best time of year to be a birder. The excitement of spring is punctuated by a family of birds called the wood-warblers. 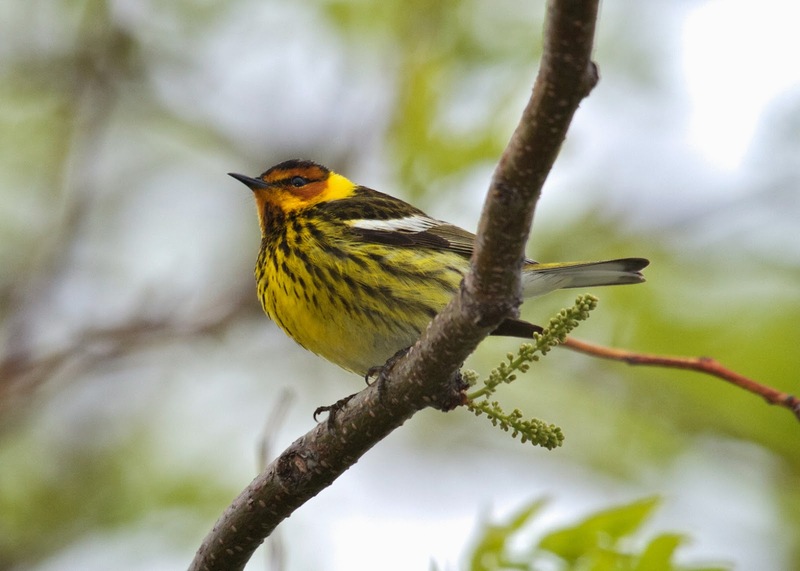 About 30 varieties of these neotropical migrants will visit DuPage between now and June. Some stay and raise families here; some are just passing through on their way north. We are drawn to warblers for many reasons. Birders find their beauty, variety and elusiveness to be irresistible. Observing warblers is challenging because they’re typically in constant motion, often high above us. Seeing them well and learning their songs takes patience. You can spot warblers in your backyard this spring if you watch carefully, or in the trees and shrubs outside your workplace. But to see a wide variety of warblers all in one place, try the Elsen’s Hill area of the West DuPage Woods Forest Preserve. Excellent birding is virtually guaranteed at this Winfield hotspot in April and May. For this column I contacted two expert birders—Pete Moxon and Eric Secker—who know every nook and cranny of Elsen’s Hill. It’s easily their favorite place for watching spring warblers as well as other birds. Moxon, a Wheaton native, agrees. Some days, he saids, the best warbler action is over by 8:00 a.m.
“Bird the edges” is always good advice, and Moxon applies it at Elsen’s. In particular, when it’s chilly, he recommends focusing on habitat edges that are sunlit, including the east-facing trees in the preserve’s parking lot off of Garys Mill Road. 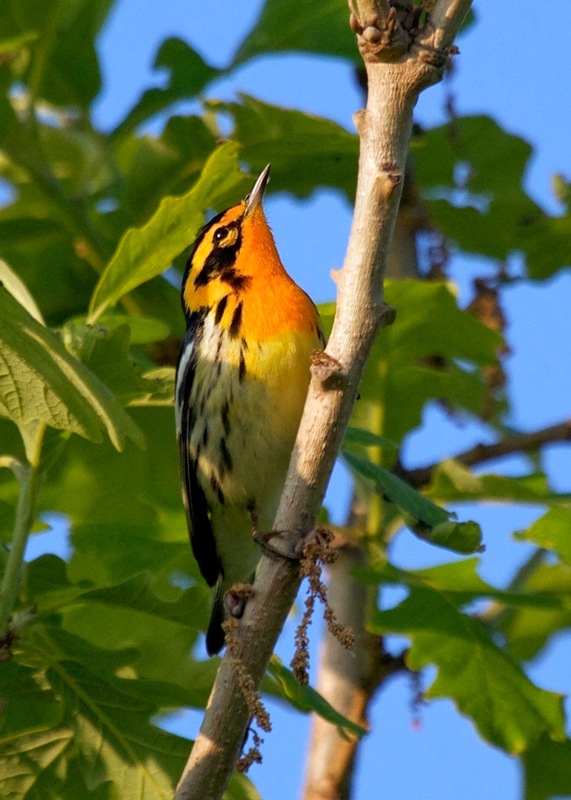 The sun’s warmth ramps up insect activity, which in turn attracts hungry warblers. Moxon sports an Elsen’s Hill/West DuPage Woods life list of some 254 species. He once birded there 40 consecutive days during spring migration and more than 300 times in a single year. One of his best discoveries was a black-throated gray warbler, a western species that turned up in October 2010 and stayed for weeks. At least 200 birders from Chicagoland (and beyond) descended upon Elsen’s to see it, with Moxon playing birdfinder and host. Think about that, 30 warblers in one day at one site in DuPage. Moxon’s best warbler day at Elsen’s is 32. Trust me, it takes a lot of effort and luck just to see 25 species during an entire spring. So what makes Elsen’s such a warbler magnet? Habitat variety, primarily. Ponds, ravines, river wetland, savanna and mature woodlands are all part of the mix. One of Secker’s favorite natural features is the hawthorn thickets that often harbor groups of warblers at eye level. Moxon credits the dense and lush habitat from the upper canopy to the ground—a vegetation structure that supports a wide variety of species and makes it easier for birders to see them. Elsen’s isn’t huge (about 150 acres) but it provides everything migrating birds need to rest and refuel. Not just warblers, of course. 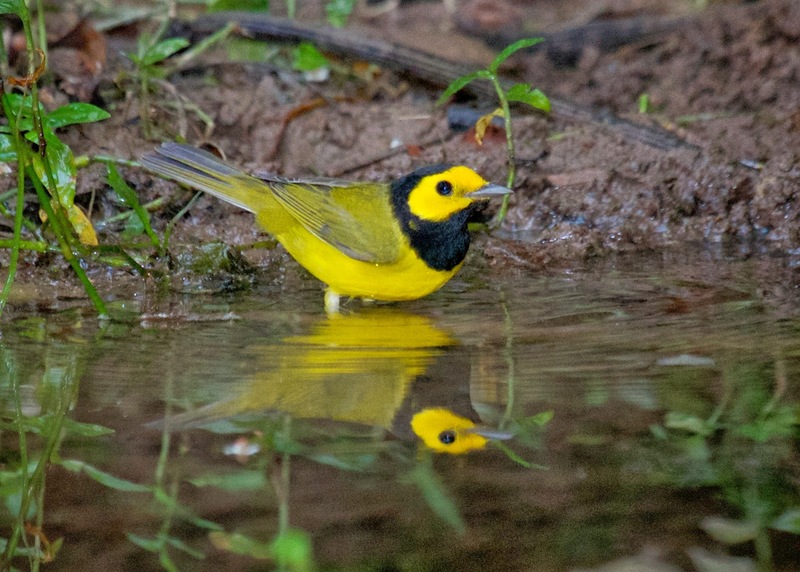 Elsen’s is a wonderful place to see orioles, tanagers, thrushes, vireos and flycatchers. If you visit, keep an eye and ear out for pileated woodpecker, too, a tough-to-find bird in DuPage. Elsen’s remains the only spot in the county where I’ve observed olive-sided flycatcher and Connecticut warbler—on the same day, in fact, in 2008. I’m planning to visit the preserve more often this spring, especially in May. And if somebody reports a “wormie” I’ll be there lickety split. It’s always fun to bird where surprises are almost expected. Moxon once observed cerulean, black-throated blue and prairie warblers without even leaving the Elsen’s Hill parking lot. Other times, the warbler activity out on the trails is jaw dropping. Elsen’s is that kind of place. Get there early and get there often.